Attempts to salvage the Phoenix have been struggling with the recent strong winds and waves. It’s hoped that the boat will be raised by the end of today (August 14). The owner of Phoenix failed to recover their boat after it sank on July 5, which resulted in 47 Chinese tourists drowning. 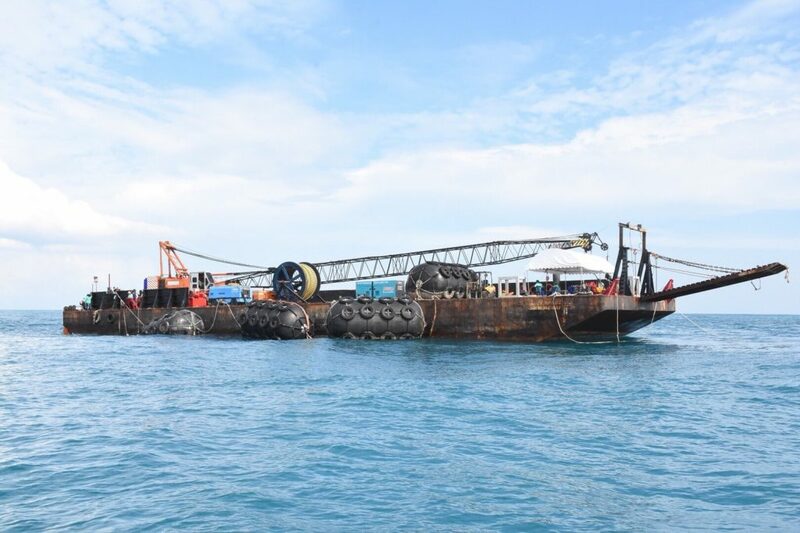 The company that owns the boat will now be sued for the salvage expenses, estimated to be around 10 million baht. Read more about the demands to the owners of Phoenix to recover their boat HERE. 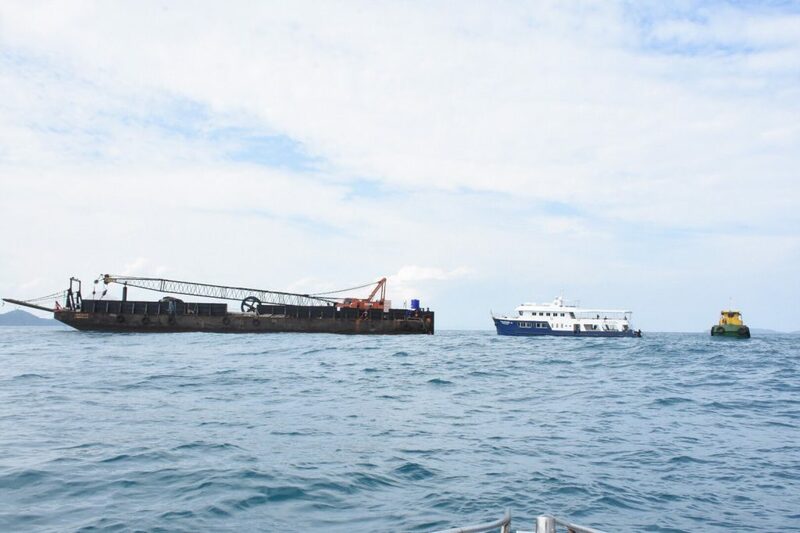 Director General of the Marine Department, Jirut Wisanjit, has flown down to Phuket from Bangkok to follow up the recovery arrangements for the Phoenix. 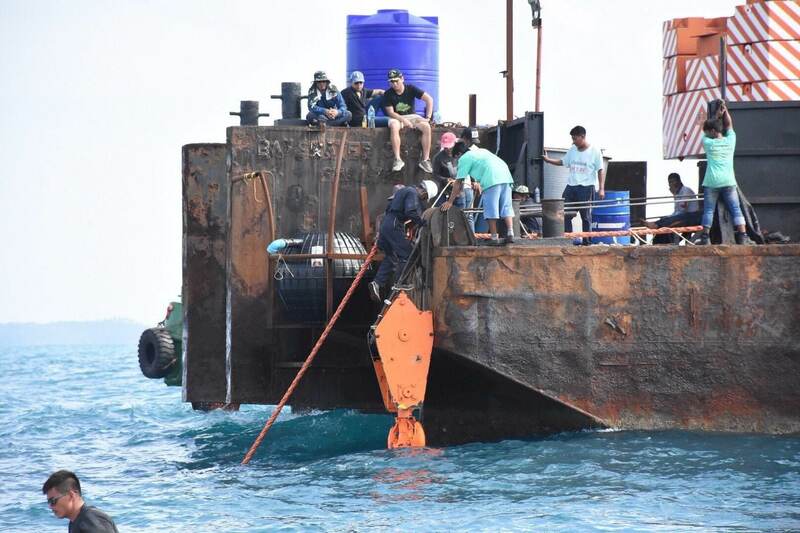 Three out of four hooks have been already attached by divers in preparation for raising the boat but efforts have been hampered by wind, waves and currents. Authorities say the boat is in quite a difficult location for salvage. They say the last hook is expected to be attached to the boat this morning. 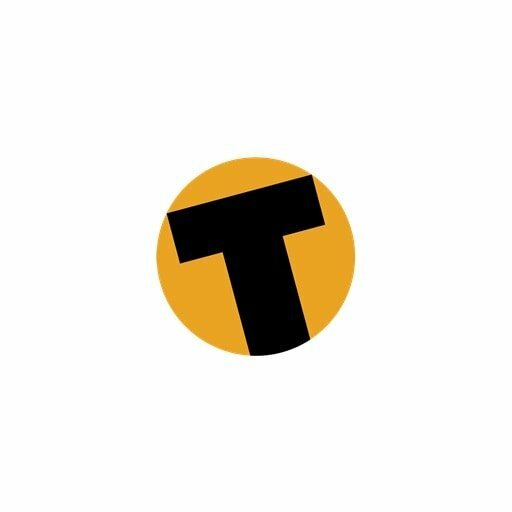 The boat is expected to be brought to the surface and ferried back to land today. 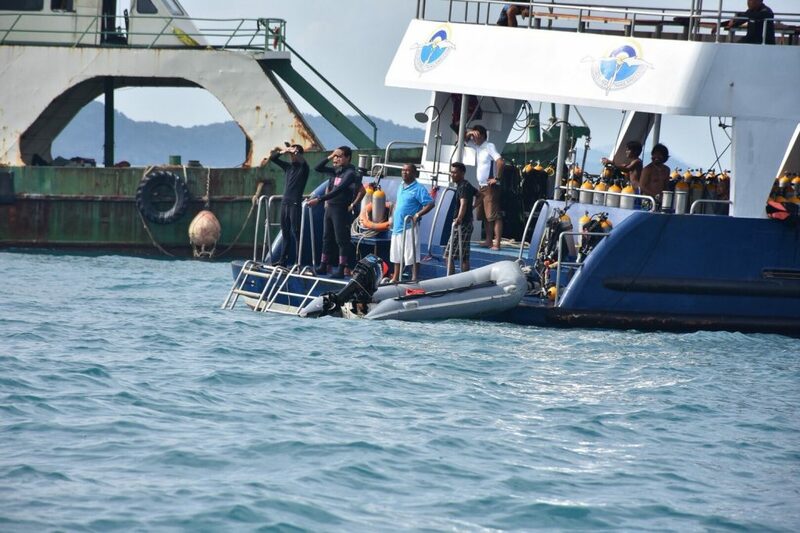 Phoenix has been sitting 45 metres underwater between Phuket and Koh Racha. 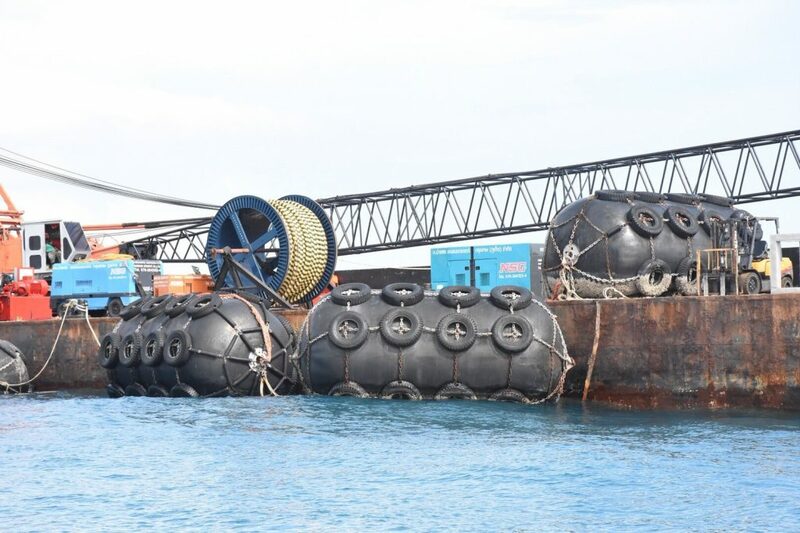 I love to watch the workers sitting on the barge without helmet and life-vest under the supervision of the Marine Department Director-General….